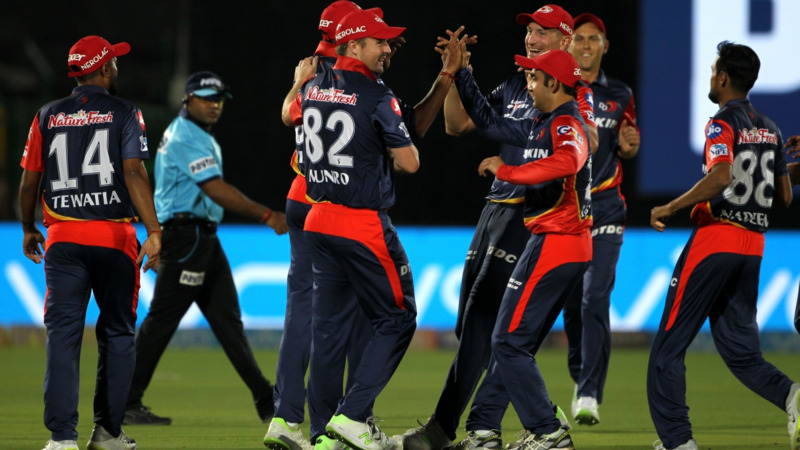 Delhi Daredevils defeated defending champions Mumbai Indians by 7 wicktes in a high scoring match at the Wankhede Stadium in Mumbai and opened their winning account of IPL 2018 campaign. Mumbai openers Evin Lewis (48) and Suryakumar Yadav (53) gave a brisk start to MI by scoring 84 runs in the powerplay and added 102 runs for the first wicket. Thanks to that start, MI set a target of 195 runs for DD. 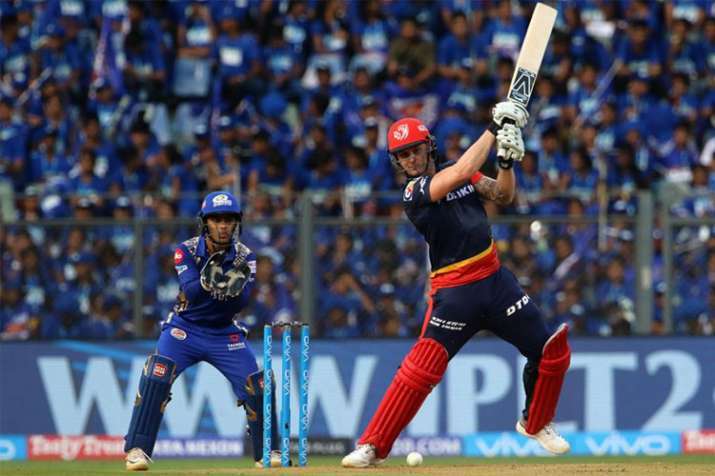 Jason Roy's 91* and Rishab Pant's 47 helped to get the team to over the line and registered the first win of this season for the Delhi Daredevils. 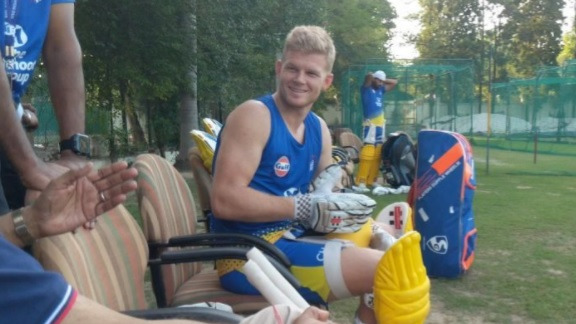 3 - Mumbai Indians have lost all 3 matches of this season which they played. 22.23 - Gautam Gambhir's batting average against Mumbai Indians , the lowest average for him against a team in the IPL. (Min 5 innings). 84 - Mumbai Indians scored 84 runs in powerplay which is the highest powerplay score for them in the IPL, the previous highest was 82 runs against KXIP at Indore in 2017. 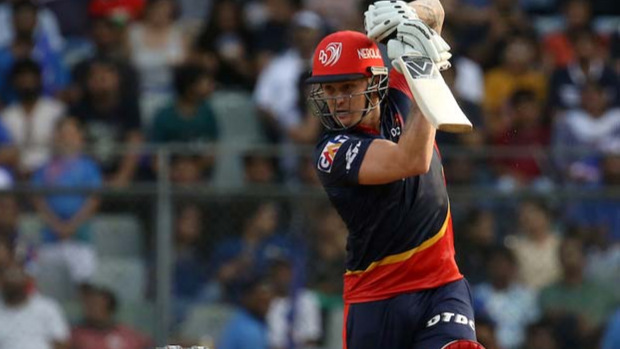 91* - Maiden IPL fifty for Jason Roy and his 91* is also the highest score for a player on debut for Delhi Daredevils. 102 - Runs opening stand between Evin Lewis and Suryakumar Yadav was the first 100 runs opening stand of this IPL season. 195/3 - This was DD's third highest successful run chase in the IPL. 688 - Runs Rohit Sharma scored against DD in the IPL - the most for any player against DD and he surpassed Ajinkya Rahane's tally of 677 runs. 1012 - Mumbai Indians wicket keeper Ishan Kishan completed 1000 runs in T20 cricket.